Ray Bryant, a jazz pianist whose sensitivity and easy authority made him a busy accompanist and a successful solo artist, beginning in the mid-1950s, died on Thursday. He was 79. His wife of 20 years, Claude Bryant, said he died at New York Hospital Queens after a long illness. He lived in Jackson Heights, Queens. Mr. Bryant had a firm touch and an unshakable sense of time, notably in his left hand, which he often used to build a bedrock vamp. Even in a bebop setting, he favored the ringing tonalities of the gospel church. And he was sumptuously at home with the blues, as a style and a sensibility but never as an affectation. All of this contributed to his accomplishment as a solo pianist. 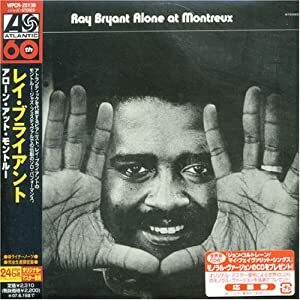 His first solo piano album was “Alone With the Blues,” in 1958, and he went on to make a handful of others, including “Alone at Montreux,” “Solo Flight” and “Montreux ’77.” His most recent release, “In the Back Room,” was yet another solo album, recorded live at Rutgers University and released on the Evening Star label in 2008. Raphael Homer Bryant was born on Dec. 24, 1931, in Philadelphia, and made his name in that city during its considerable postwar jazz boom. Along with his brother, Tommy, a bassist, he played in the house band at the Blue Note Club in Philadelphia, which had a steady flow of major talent dropping in from New York. (Charlie Parker and Miles Davis were among the musicians they played with there.) In short order Mr. Bryant had plenty of prominent sideman work, both with and without his brother. One early measure of his ascent was the album “Meet Betty Carter and Ray Bryant,” released on Columbia in 1955. It was a splashy introduction for him as well as for Ms. Carter, the imposingly gifted jazz singer. It was soon followed by “The Ray Bryant Trio” (Prestige), an accomplished album that introduced Mr. Bryant’s composition “Blues Changes,” with its distinctive chord progression. That song would become a staple of the jazz literature, if less of a proven standard than “Cubano Chant,” the sprightly Afro-Cuban fanfare that Mr. Bryant recorded under his own name and in bands led by the drummers Art Blakey, Art Taylor and Jo Jones. Mr. Bryant had several hit songs early in his solo career, beginning with “Little Susie,” an original blues that he recorded both for the Signature label and for Columbia. In 1960 he reached No. 30 on the Billboard chart with a novelty song called “The Madison Time,” rushed into production to capitalize on a dance craze. (The song has had a durable afterlife, appearing on the soundtrack to the 1988 movie “Hairspray,” and in the recent Broadway musical production.) He later broke into the Top 100 with a cover of Bobbie Gentry’s “Ode to Billie Joe,” released just a few months after the original, in 1967. But Mr. Bryant’s legacy never rested on his chart success or his nimble response to popular trends. It can be discerned throughout his own discography and in some of his work as a sideman, notably with the singers Carmen McRae and Jimmy Rushing, and on albums like Dizzy Gillespie’s “Sonny Side Up,” on Verve. “After Hours,” a track on that album, begins with Mr. Bryant and his brother playing a textbook slow-drag blues. Along with his wife, Mr. Bryant is survived by a son, Raphael Bryant Jr.; a daughter, Gina; three grandchildren; and two brothers, Leonard and Lynwood. Mr. Bryant’s sister, Vera Eubanks, is the mother of several prominent jazz musicians: Robin Eubanks, a trombonist; Kevin Eubanks, the guitarist and former bandleader on “The Tonight Show With Jay Leno”; and Duane Eubanks, a trumpeter. Back during the mid and late seventies Ray Bryant used to play piano regularly at a restaurant around the corner from my apartment on 2nd Avenue on the Upper East Side of Manhattan called Hanratty's. That restaurant has been gone for many years. Bryant was a funky two fisted pianist who had a winning combination of prodigious technique coupled with a soulful feeling. He will live on through his numerous recordings.